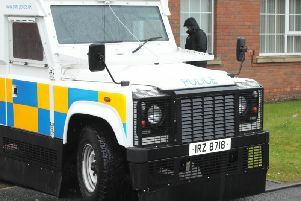 As the school holidays approach, police in Craigavon are appealing for the whole community to help protect local schools when they are closed over the summer break. As part of the School Watch initiative, officers will be paying particular attention to schools across the District over the summer months. “Attacks on schools generally range from broken windows and graffiti but on some occasions have been more serious including arson and burglary. “Vandalism is disheartening and it is frustrating to see how these mindless acts affect schools that have worked hard to maintain buildings and create a safe environment for pupils throughout the whole year. “This in turn has a really negative effect on the entire community and I would ask members of the public to assist us in reducing this type of crime. No one wants to see teachers and pupils return to a school which has been vandalised or to come in over the summer to clear up after criminals. “This type of criminal damage diverts funding towards repairing and away from extra staff to help the children learn and on much needed school resources such as books and computer equipment. Money is also being spent on securing premises with window grills, alarm systems, security cameras, fences and other crime reduction devices.